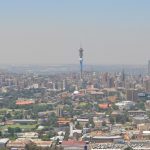 TechCentral on Tuesday reported how Sentech has to spend millions of rand fixing its famous Johannesburg broadcasting tower, which has fallen into a state of disrepair, with concrete flaking off the structure. The iconic tower has a rich history. 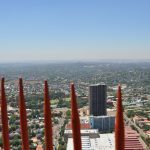 The Sentech Tower, as it’s known today, was originally called the Albert Hertzog Tower, named after the late apartheid minister of posts and telegraphs, whose greatest claim to fame was a speech in which he said SA would get television over his dead body. Hertzog described television as a “miniature bioscope over which parents would have no control” and said that “SA would have to import films showing race-mixing”. He regarded television as the “devil’s own box, for disseminating communism and immorality”. 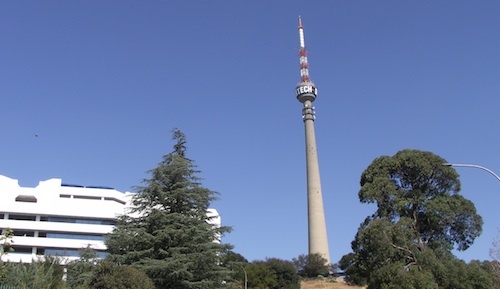 But the National Party was eventually forced to buckle under public pressure, and the Herzog Tower — which had for the first 15 years of its life been used exclusively for FM radio broadcasts — was retooled in the mid-1970s as the main television broadcast tower for Johannesburg. It later became the first test site for digital terrestrial television transmissions. Zane Mannell, acting GM for operations and maintenance at Sentech, says that when the tower was constructed in 1961 it was regarded as something of an engineering feat. 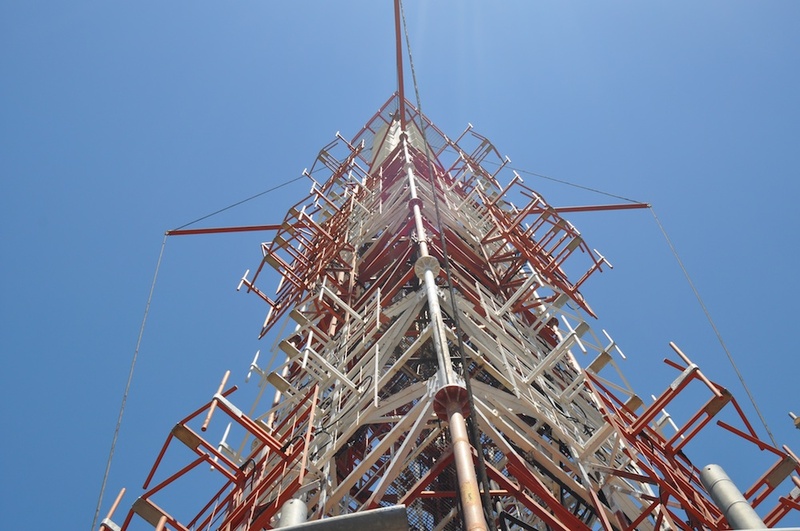 The tower, which is still the tallest such structure in Africa, was the first in the world to combine six FM channels simultaneously into a common antenna. Excavations began in February 1961, and the tower reached its full height of 237m in December of the same year. 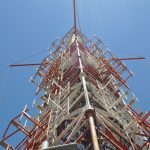 The 53t structural steel mast attached to the top of the tower was completed in just three weeks. The entire structure cost only R300 000 to build; to build it today would cost R300m, Mannell says. The foundations of the 7 820t tower are just 2m deep and 6m wide and have an external diameter at the base of 25m. More than 1 340t of concrete was used in the foundation, with a further 5 684t in the tower. Reinforcing consists of 300t of high-tensile and mild steel bars. Additional reinforcements ensure the tower can withstand wind gusts of up to 200km/h. The tower rests on a circular, wedge-shaped foundation. The reinforced foundation has a triangular cross-section and stands on Jeppestown shale just under the top level of the Brixton ridge on which the structure is built. Jeppestown shale is brittle but has excellent compression strength and is therefore ideal to carry heavy loads. Because of the elasticity of the tower, earthquakes cannot be felt inside the structure. Its shape makes it immune to earth tremors. Lightning protection is achieved through a continuous electrical connection to the mast, through steel reinforcing, and a connection to the lift shaft and copper conductors laid in the ground below the tower. During summer thunderstorms, the tower can be struck multiple times. 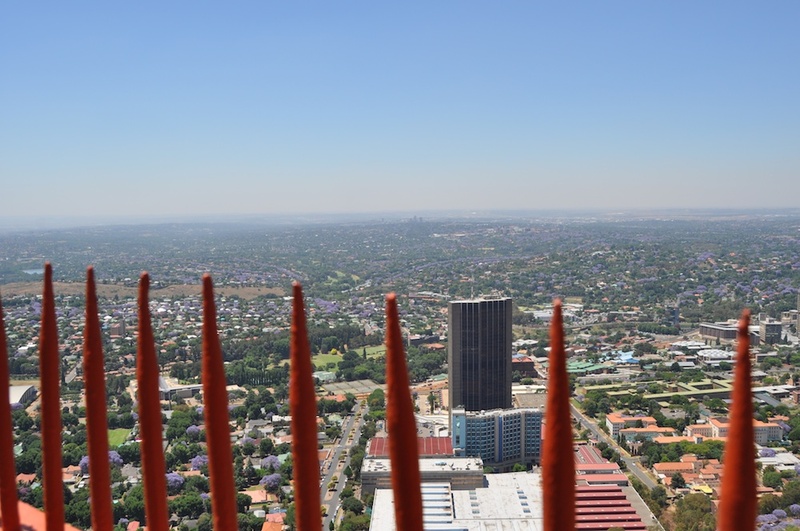 The tower’s observation decks were open to the public until 1982, but were closed because of fears anti-apartheid activists would target the structure. It has not been reopened since, though Sentech chairman Quraysh Patel has told TechCentral he wants to reopen the viewing decks. I’m sure opening the viewing deck would pay for all the repairs that the tower needs. It would be a nice addition on the Jo’burg tourist map. Ian D. might have said one or two unnecessary things, but I agree with him regarding the viewing decks. 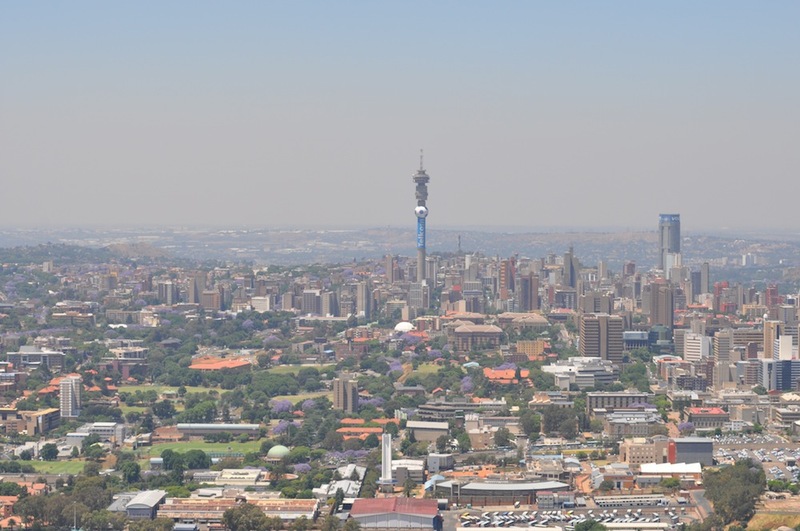 I can already imagine the view, hopefully it will be up when I make my trip to Joburg this coming December. What a reminder to how far we have come re the narrow minded fearful statements of Herzog, and a stark reminder just how bad these new proposed media laws that the ANC is trying to push. Ultimately, control is only possible if we let ourselves be controlled!